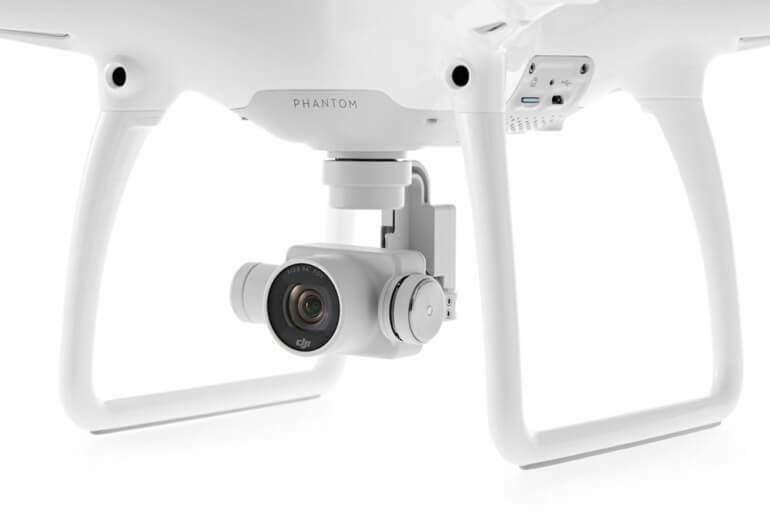 Building on the already impressive reputation of the earlier Phantom's, DJI has built the ultimate camera drone with features that make it easier and safer than ever. 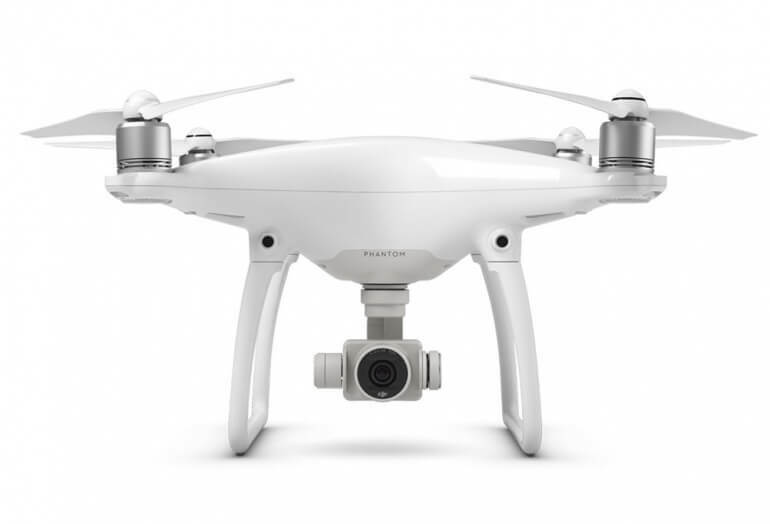 Since 2006 DJI has been establishing themselves as the go-to in the camera drone market. 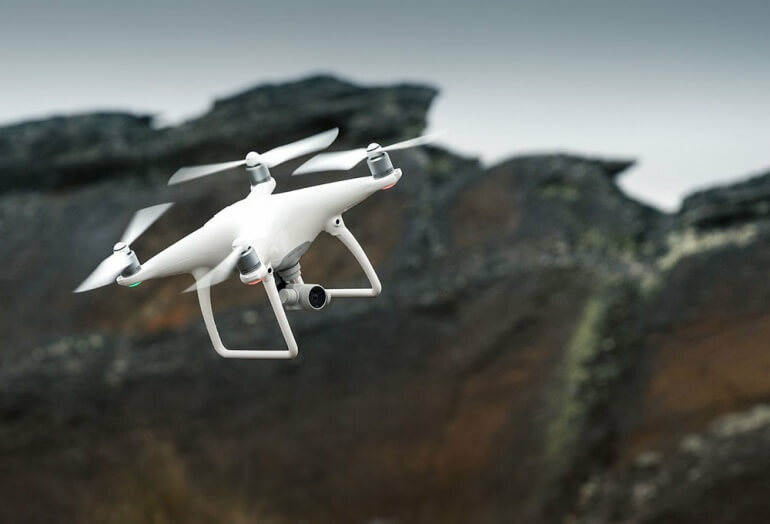 The Phantom series is the top rated line in consumer camera drones and the latest 4th release is nothing short of spectacular. 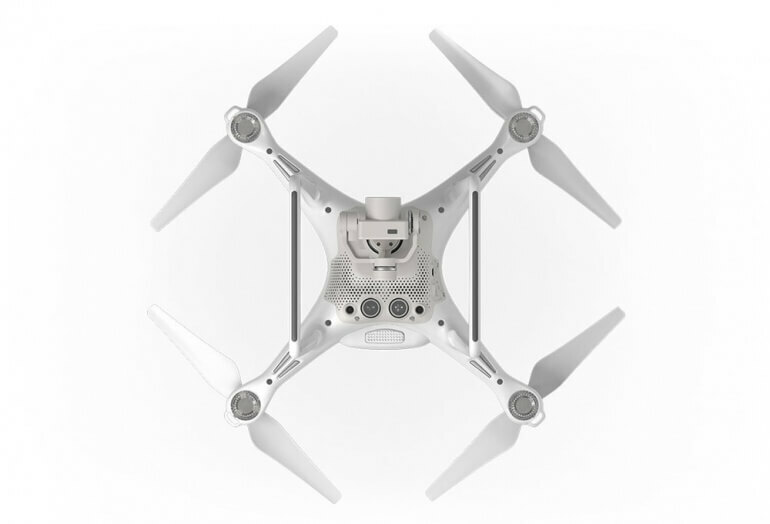 At it's core the P4 is an all white quadcopter with 28 minutes of flying time at a maximum of 44mph forward speed. Hanging below the frame sits a gimble holding a 4k capable camera. Surrounding the camera are sensors for object detection both below and in-front of the bird. All of this amazing footage is streamed back to your iOS or Android device in 720p resolution from as far as 3.1 (5km) away. The props feature a push and release/attach feature that makes it extremely easy to attach and remove the props from the drone frame. No tools, no under/over tightening. This makes it really easy to fly or pack up very quickly. Select a target and the Phantom will center the frame on the object as it flys. Create amazing shots that previously required immense skill to be able to pull off. Simply tap anywhere on the screen when flying and the drone will move to that location. 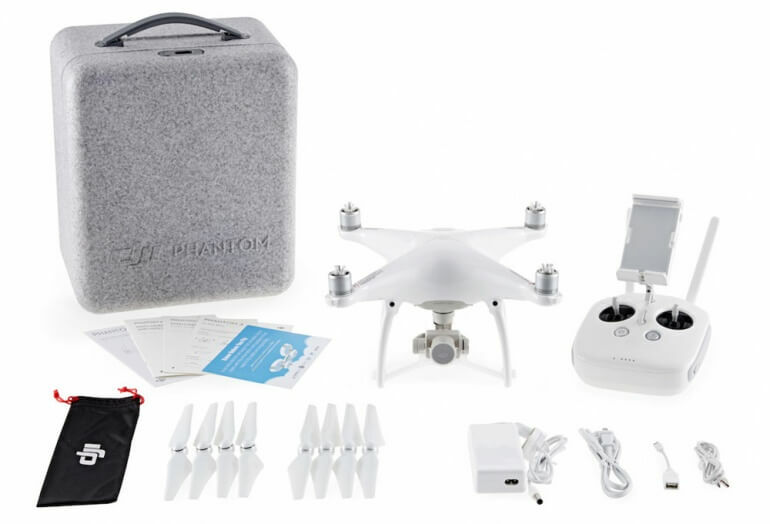 The 4 sensors allow the Phantom to detect objects as it flys. This helps avoid those costly mistakes when your drone strikes an object. This model is tuned to stop on a dime and avoid objects as it moves through the air. This is especially important when considering the return to home function as the drone can now sense objects on its trip back. The drone has tons of ground breaking features that make it an absolutely outstanding option for anyone looking to record the most amazing images possible.